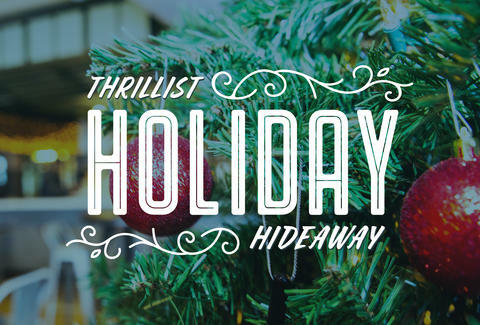 It’s the most festive time of the year, so this past weekend we decided to celebrate in the most Thrillist way possible: by hosting our third annual Holiday Hideaway -- this year at Industry City, Brooklyn’s own food hall/design hub/party space. 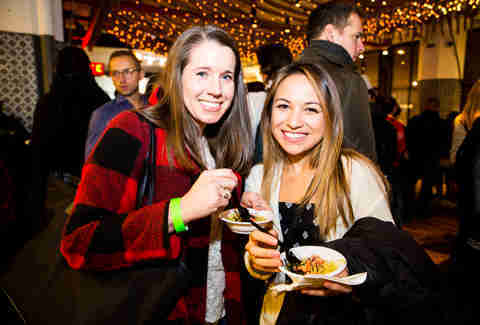 Of course, there were plenty of delicious eats and some tasty cocktails, but we also threw in lots of holiday merriment and good cheer. In case you couldn’t make it (or just feel like reliving the weekend), we put together some of the highlights below, with plenty of tips to help you finish out the season strong. 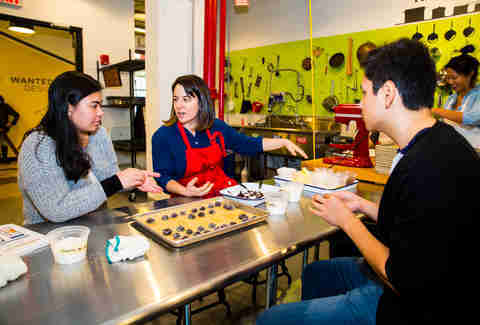 On Saturday, One Girl Cookies and Brooklyn Kitchen hosted a demo and taught some of our guests how to make the perfect holiday cookies. The two-hour class resulted in their decadent Chocolate-Orange “Pinky” Print Cookies and some superstar bakers. We chatted with the chef/owner of One Girl Cookies, David Crofton, to get you key baking tips that’ll last long after the last glass of eggnog is poured. 1. Success starts with the right tools. Crofton says there are three tools vital to ultimate cookie success. A cookie scoop with a clicker to release the dough (similar to an ice cream scoop) is hugely important in making a batch unison; an oven thermometer to ensure accuracy; and parchment paper will help your cookies achieve the right color (and of course cut down on dishes). 2. Quality over quantity. 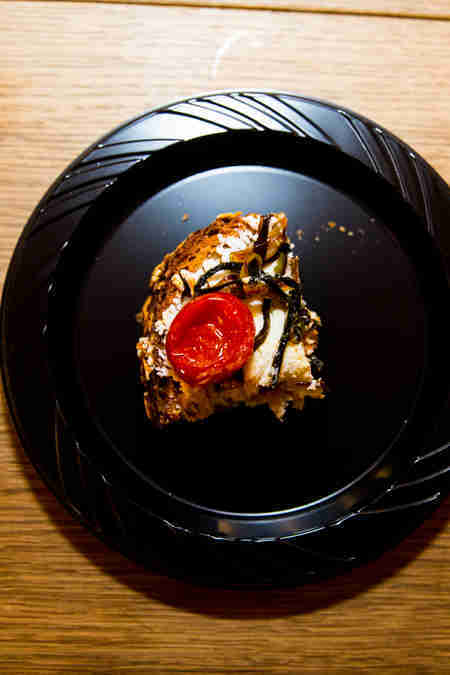 “Don’t get the cheapest [ingredients] you can find or your cookies will taste cheap,” Crofton says. If you’re making chocolate chip cookies, “use good butter and good chocolate.” You can even break up a nice dark chocolate bar instead of bagged chocolate chips for a truly expensive taste. 3. Temperature matters. Lastly, take your time. Crofton says you should let your dairy (butter, milk, eggs) come to room temperature before you mix them. 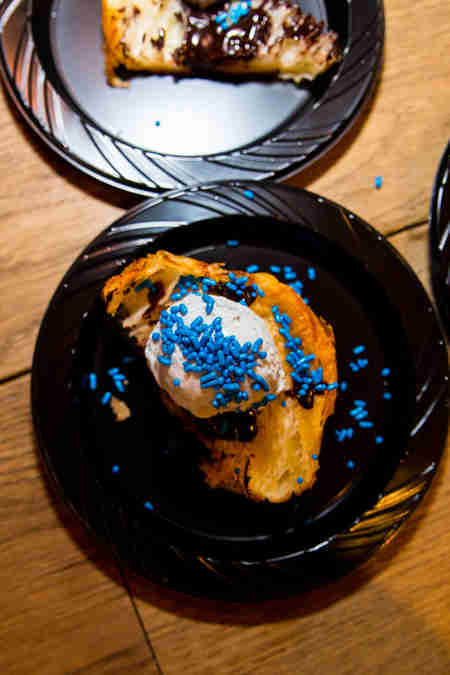 “It makes the batter come together properly,” he says. To help your eggs along, place them in a cup of warm water before you crack them. What would a holiday party be without refreshments? 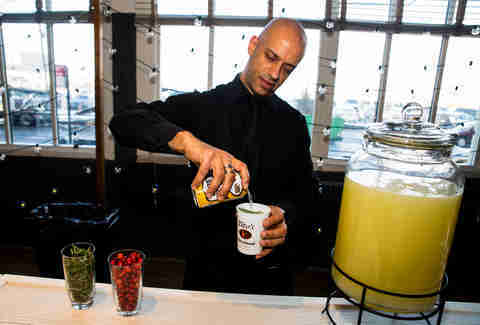 To start, our friends at Bai set up a sweet Bai Bar, which offered eight different samples of their antioxidant-infused beverages (aka drinks powered by coffeefruit, Vitamin C, and tons more good stuff to keep us going). Flavors included Brasilia Blueberry, Molokai Coconut, Kula Watermelon, and more. Next, Moore Brothers brought a selection of artisan wines to taste -- just incase you needed a gift for your holiday party host. (Pro tip: Always bring the host a little something!) Then, Tito’s Handmade Vodka was there to make sure our glasses were full with a classic take on a Moscow Mule, updated with a bit of holiday cheer. Like most drinks served in a cozy mug, the Moscow Mule is perfect to recreate for the holidays. 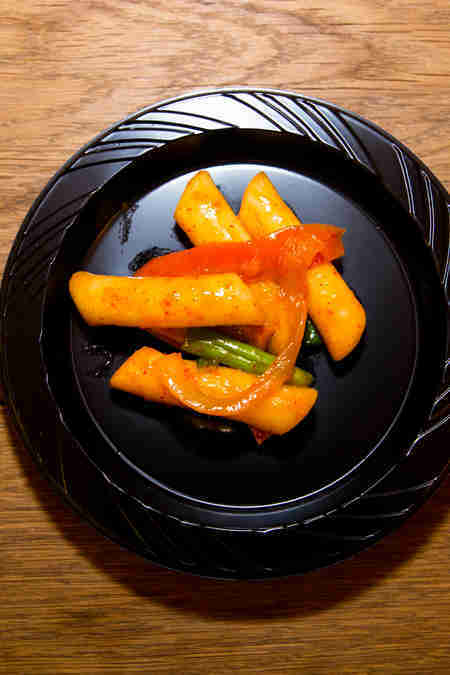 Here’s how we served ours. Tito’s Handmade Vodka, lime juice, and ginger beer, with a dash of cinnamon. Garnish with a rosemary sprig and fresh cranberries. 1. Keep that beard moisturized. Cold weather means dry skin, and when you shave dry skin, you’re likely to experience some irritation. Eric Aleman, owner of King of Kings, recommends using some argan oil on your beard to help keep the hair soft, plus an aftershave lotion. Both will help keep razor bumps away -- and no one wants those. If you can’t get to the barber, make sure you get the bathroom extra steamy and keep a warm towel on hand, before you grab your razor. The steam will open the pores and give you a closer shave. 2. Tailor that suit. If you sprung for a suit this season, Tarik Kaljanac, a Perry Ellis brand ambassador, recommends you get it to fit you just right. “It’s a common mistake that [the suit] is too big,” he says. A sharp, well-fitting suit is perfect for holiday parties, but if you’re just heading to the office, he recommends looking for wrinkle-free and easy-to-wash options to keep you looking fresh from the first cup of coffee to evening rush hour. 3. Save time on your manicure. The holidays are the perfect time to break out those deep reds and dark nail colors, but when it’s time to change polish, these pigments can bleed into your nails. Before you start scrubbing like crazy, manicurist Maristela Beaucant suggests rubbing a small amount of oil on your nails before hitting it with the remover. It’ll keep the color from bleeding into your skin -- saving you some precious time this season. Oh, and to keep that manicure looking fresh for days? Don’t forget the top coat. 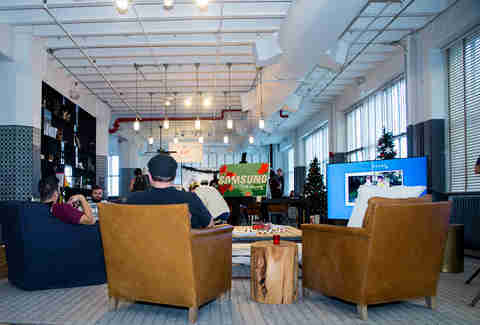 We designed Holiday Hideaway to feel like an industrial holiday lounge this year, and then enlisted Samsung to really deck the halls. They brought their new Frame TV -- it’s a flat screen that’s designed to look like a picture frame, so when it’s off, your living room can feel like it’s part of a home decor blog. It even has an “art” mode, where the TV displays stored prints, paintings, and photographs. Then, when the TV mode is on, you get a sharp, 4K picture. Because the Samsung Frame is essentially art, we brought in a local artist to give it that museum treatment. Over the course of the weekend-long event, she live-painted a scenic, wintry piece while guests watched it unfold -- and we have to say, even Bob Ross would be impressed. In addition to the living room setup from Samsung, we also encouraged people to treat Holiday Hideaway like their own cozy space by offering an entire craft station, plus postcard writing throughout the weekend. More than 600 people sent some holiday cheer to friends and family by filling out a postcard (they’ll be in the mail this week! ), so expect some very happy phone calls from your loved ones. On top of everything else going on at Holiday Hideaway, the Boost Mobile stage -- and its weekend full of talented performers -- made it feel like Coachella in Industry City. From Friday through Sunday, nonstop tunes, curated by Baeble Music, included local acts Savoir Adore, Animal Years, and Tor Miller, plus ROZES, Andreas Moe, and Yoke Lore. Didn’t get to see them play? 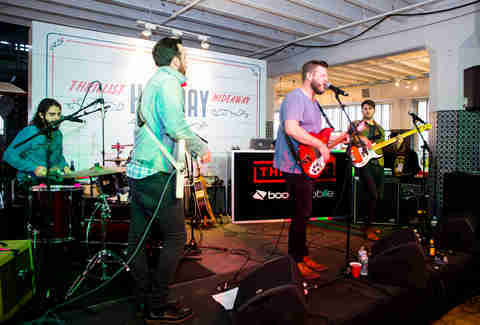 Check out their social media pages and discover your new favorite act. 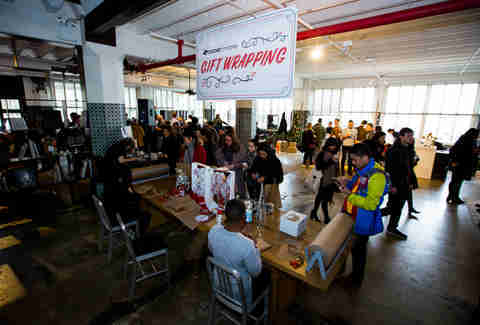 Our friends at Boost Mobile also hosted a gift-wrapping station for anyone doing their holiday shopping at Industry City. 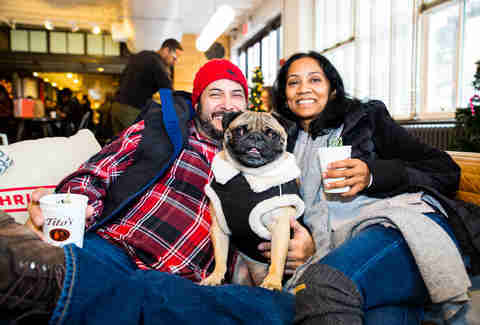 Not only were guests able to get their presents wrapped while they relaxed at our pop-up, but with Boost’s “Text for Toys” program, they could donate to Toys for Tots while they were waiting. And hey, since we’re not all Martha Stewart (and since our beloved Holiday Hideaway is over for now), we thought we’d offer up these quick and lasting tips so you can be a gift-wrapping ninja from here on out. 1. Double-sided tape is a must. We’ve all been there: trying to make the tape into a little roll while holding the paper in place with our elbows, toes... anything. Double-sided tape will help you wrap quickly and efficiently, allow you focus on getting those corners right, and stays out of sight. 2. Use fabric. If you’re really -- and we mean really -- just hopeless when it comes to wrapping gifts, try the fabric method. (This is also a great way to clean out your closet.) Take a square of fabric cut from an old t-shirt, place the box on top, and tie the opposite corners in knots. Simply repeat this twice. The result? Not only have you wrapped the gift, but you've put a bow on top, too. 3. Don’t wrap it at all. Yeah, that’s right! If the box itself is presentable, simply adorn it with some decorative tape and a huge bow. Wrapping has never been easier. Still haven’t had enough Holiday Hideaway? Neither have we. 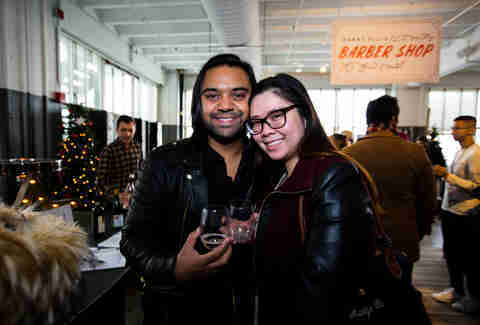 And thanks to Bai, we have some great photos to relive the weekend. 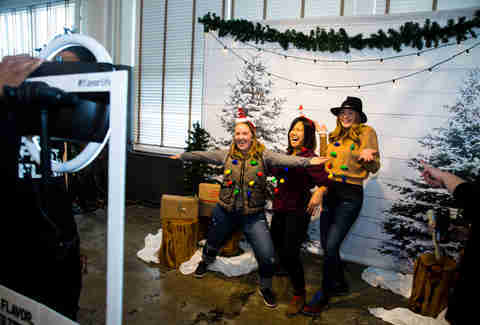 They set up a wintry photo booth, complete with festive props, and we had a photographer on site to capture all the merriment. Here’s a few of our favorite shots.